Click on this image to view my Profile at Wealthy Affiliate University. 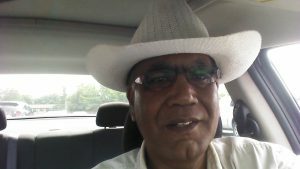 Hi, my name is Paul Mindra and I am a former Professional Chef of almost 40 years. Professional Cooking was my life-long passion right from my early to mid teens and I started my career in the Hospitality Industry here. By 2010 I could no longer perform at the level expected of me due to things we take for granted (our health), and that is when my problems began because I had to leave the industry. There were too many days that I could not make it into work. I’m not going to go into detail and share with you (perhaps somewhere else on this site), all about progressive Psoriatic Arthritis, the onset of Glaucoma (as a result of the former), Chronic Sinusitis, Migraines, and Acute Inflammation in the lower back and hips due to a ‘Fused Coccyx,” and so on. I’m also not going to go into detail (perhaps somewhere else on this site) how a lack of diagnosis and treatment for many years resulted in self-medication of prescription/non prescription drugs combined with alcohol. For the most part, we all have our own health related issues in one way or another, and when we are faced with these, we look for and expect help and solutions to be delivered with a certain amount of efficacy and expediency. An example (true photo) of Psoriatic Arthritis Inflammation. “Well Doc, when I cant brush my teeth, shave, button my shirt, tie my shoelaces and go up or down a few stairs (because my wrists, knees and ankles are swollen to double their size, then what am I to do?” Oh, right. Re-adjust my head. It was very frustrating to say the least. The image to your left is actually of my feet during a flare-up. Many out there may be able to relate. When it hits the Ankles, you cannot stand or walk. When it hits the elbows and wrists…you will have difficulty dressing and even feeding yourself. Just to let you know, my health issues were never fully diagnosed until 2015. We all have our own issues but I can share with you that life changes dramatically when you go from a very high ‘Above Average’ income to one being supported by Unemployment Benefits, Disability Benefits and even Social Assistance. 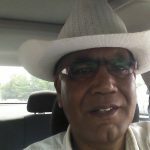 I am very pleased to make your acquaintance and look forward to learning and sharing with you as we move together on this website. The purpose of this site is to help new and aspiring entrepreneurs to discover a proven and relatively easy way to improve not only their financial situations but also their lives and the lives of their loved ones through online work. I will do this by introducing a Step-By-Step direction and education platform that if taken seriously, actually works. If you want to discover a proven way to learn how to make money from home, through an online business of your choosing, then I want to invite you to become a free member of an amazing training community of budding and successful entrepreneurs. 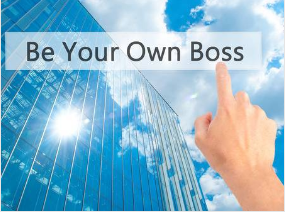 Get started by reviewing the information on this website to learn how you can get results in becoming your own boss with this easy to understand step-by-step approach. I am going to share with you “The Wealthy Affiliate University” approach to education and the diversity that comes along with it. I have been a member in good standing here since May 2016, and have no intentions of leaving anytime soon. When you find something that you like, is not a scam, and offers unsurpassed value, then you tend to stick to it. Not only stick with it…you have no problem sharing it with others. Will Tomorrow Always Be Better Than Today? “When you approach success with anything you do in life, you need to make a concerted effort to make tomorrow a more brilliant day than you experienced today. We treat the service like that at Wealthy Affiliate. Our motivation is getting others to feel the same way about their situation. A brighter day is always ahead.” Kyle Loudoun/Carson Lim. (Co-owners of Wealthy Affiliate). 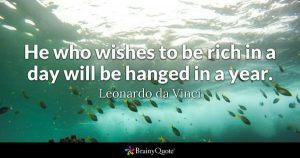 My High School motto, faciendo discimus, “We learn by doing,” beautifully describes the learning philosophy of the Wealthy Affiliate – Open Education Project. Here, we are taught to “First Learn,” and then remove the “L.” It is a great philosophy and one that serves those that follow it, extremely well. I am a big fan and advocate of the Wealthy Affiliate philosophy and my goal here, through this site, is to show you the benefits of what they have to offer so that you will become one too. Allow me to share my (somewhat lengthy but interesting) story with you. A table of contents has been provided below for easier navigation as this page is over 6000 words long. I want to thank you in advance for visiting The Forensic Affiliate. I will be your host and guide here for many years to come. Please feel free to leave any comments or thoughts behind as I am always listening for ways to improve not only this site, but also my skills. Do I miss Cooking Professionally? What Is Your Purpose – Ikigai? My experiences in the Hospitality Industry had spanned almost 4 decades coming to an end around 2010 for reasons we rarely take seriously or simply ignore…our health. I learned my basic cooking skills at a very early age from my Mother. 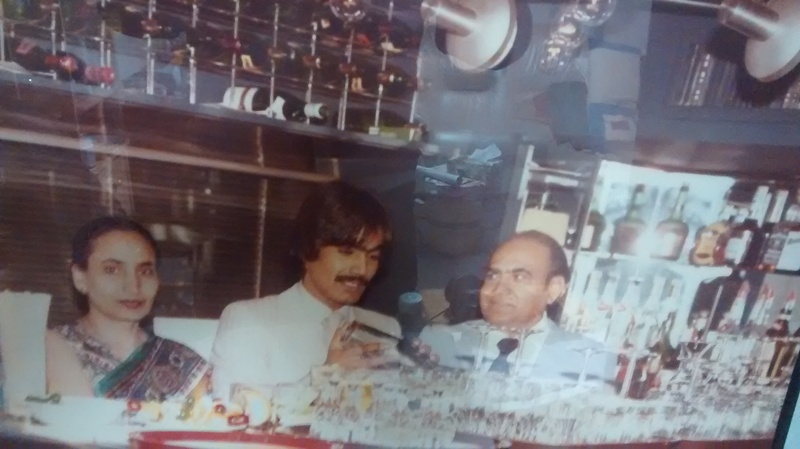 Mum and Dad (both now dearly departed) had two restaurants throughout their working careers specializing in Northern Indian Cuisine. The first one was when I was just 10 years old and the other when I was about sixteen. By that time, I had become very well versed in the kitchen from dishwasher to cook. I always worked part time in our restaurants while attending school under the wings of both mother and father. Here is a picture of Mom, Dad and Me in their 2nd restaurant on Yorkville Avenue back in 1975. I did not carry on the family tradition with Indian Cuisine but instead went with something that was trending ‘big time’ at the time…Classical French Nouvelle i.e French Cuisine New Wave. I had always been interested in and enjoyed eating leisurely at places like The Windsor Arms Hotel which was just around the corner from our restaurant. I did not not know it at the the time but but some superstar chefs like Michael Bonacinni and Micheal Ewing were carving out the beginnings of the their futures there. Really wonderful that our paths would cross later in our lives. 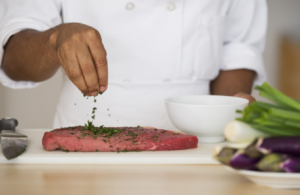 As far as ‘Cooking Professionally’ in the Commercial realm, I established my learning on my own based on the history of the founder of modern cooking, Auguste Escoffier and the trending works of Paul Bocuse. I read, I followed their recipes, I learned their techniques and I used Mom’s Kitchen on Yorkville Avenue to do some testing. Mom and Dad realized that I had a talent in the making and allowed me to offer a Non-Indian “Lunch Special” and “Dinner Special” on three alternating days a week. It worked out really well, and although somewhat confusing (Classical French in an Indian Restaurant), the combination actually helped to increase the customer base. Some of the fondest and most unforgettable memories in my life are those of me cooking alongside with my mother and serving guests out front with my father. A legendary chef who popularized traditional French cooking methods. I ran my kitchens in the same style as Chef Gordon Ramsay i.e. as a brigade. A Brigade is a system of hierarchy found in restaurants and hotels that employ extensive staff, and this structured team system delegates responsibilities to different individuals who specialize in certain tasks in the kitchen. The video below is completely representative of the conditions I was once faced with when I took over The Old Stone Inn back in 1997 (Click here to see further down the page). There was very little qualified talent and finding the talent to help us run our kitchens was scarce. We relied mostly on ourselves and sometimes one key other to watch our backs and babysit the rest. Today, anyone can become an excellent cook just by following direction on the Net. Things were way different back then. On June 8th, 2018, I felt as if I had lost another brother from our band. 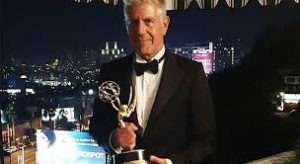 I learned that Chef Anthony Bourdain had taken his own life. Anthony’s claim to fame came when he wrote a book for fellow Chefs called ‘Kitchen Confidential’ which unexpectedly, became a New York Times Bestseller. Released in 2000, Free Download Here, this book is not only a behind the scenes look at restaurant kitchens but it is also his memoir. “The commercial kitchen is described as an intense, unpleasant, and sometimes hazardous workplace staffed by what he describes as misfits. Bourdain believed that the workplace is not for hobbyists and that anyone entering this industry without a masochistic, irrational dedication to cooking will be deterred.” – Source Wikipedia. In the video below, Anderson Cooper of CNN pays tribute to Anthony Bourdain. You can also read my tribute here at my WAU blog. Pays Tribute To Anthony Bourdain. Click on Image above to be redirected to CNN 360. It is very strange how the mind works. Why would a man like this who embraced and was passionate about so much in life, take his own? RIP Anthony Bourdain, Paul Bocuse and Auguste Escoffier. Enough Videos For Now…Back To My Story. Learn how to cook online. I found this great resource site if you are interested. You might want to bookmark it for the future. I recommend the material covered. Not really. It is a very demanding line of work. The passion for food will never leave me, but I do not have too many problems with letting all the other aspects go. I still dabble with some private catering from time to time and continue to enjoy making fabulous meals for family, loved ones and friends. I am a well mannered individual who excels at everything offered his way and at one time even owned and operated a ‘Fine Dining’ restaurant with my now Ex-Wife, Rosemary. Divorce happens a lot in our industry. I am the proud father of one grown son attending University where he is currently pursuing his Masters of Physical Therapy in Sports Medicine. My Son and Ex-Wife now live in Alberta, Canada. I have also been blessed with one older brother, one older sister, four nephews and one niece. Dad passed away in 2013 and Mom joined him in September of 2018. I now live a simple lifestyle without too many distractions in a humble and quiet setting in Ontario, Canada. I, like many baby boomers am quickly approaching retirement age and to be completely honest with you I have not planned my final years properly. In my spare time (when I have it), I enjoy gardening, watching sporting events, the occasional movie, playing chess, spending time with family and friends and of course, cooking. Most of my time however is spent on the Wealthy Affiliate University Open Education Platform where I have found my reason for being i.e. learning, sharing, serving and earning. Yes, starting a successful business online can be done, but it too, requires some research and planning. Below are some of the highlights of where I have worked prior to leaving the Hospitality Industry. They are sequenced in chronological order from first to last. You might even be familiar with some of the names and places. Again, welcome to this site and I as your host, am very pleased to be able to show you around. All the pages and posts here on this site have a section at the bottom to leave behind any thoughts, comments, suggestions and questions that you would like to share or might have. You can also subscribe to this site and receive occasional information from me personally. No, you will not be receiving automated ‘Responder’ spam in your mailbox every other day. Click on this image for a recipe of ‘Potage St. Germain,’ hearty soup that made the Magic Pan famous. The Magic Pan was a subsidiary of The Quaker Oats Company for over a quarter century with 110 crepe restaurants in most major cities in the U.S. and Canada. This wonderful specialty concept was the launching pad for many of us who remain in the hospitality industry today and also for those like me that moved on to other things. 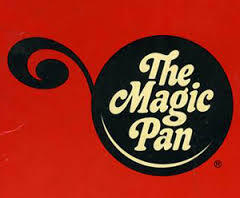 I was with the Magic Pan between 1980 and 1984 working as a Production Cook. I met my now ex-wife (Rosemary) there and in Early 1984, we moved to her home town of St.Catharines, Ontario where we opened our own restaurant called ‘The Old Bank.’ We also married the same year. The Old Bank Restaurant later became an Irish Pub. Click on image to see what became of it. Rosemary ran Front of House Operations and I ran all Back of House Operations. We had always been a great team. Our restaurant was a welcome addition to the community as there really weren’t any higher end dining establishments in St. Catharines at that time. People had to travel to Toronto to get really good quality food. We had a very successful business but it was a lot of really long hours and a lot of work. Our only child was born in 1993 and we decided that it might be a good idea to sell the business and move back to Toronto for a while because I had been offered a very good position with a very well renowned Hotel there. This way, Rosemary could devote her time to raising our son and I could put Hotel Experience on my resume. So we arrived back in Toronto in the Fall of 1994 where we rented a house in a community called Leslieville. The Old Bank I believe, is now an Irish Pub. Click on the image to see more images of The Sutton Place Hotel, Toronto, Ontario, Canada. 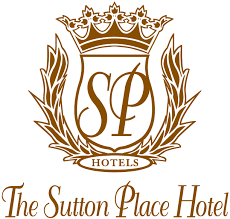 In its heyday, The Sutton Place Hotel was the Home of Royalty and hosted numerous celebrities and dignitaries. It was also a major destination for actors during the Toronto International Film Festival. I was hired as a Sous Chef and was responsible for the Banquet & Catering departments. Once dubbed “one of the best in the World” by the TV series Lifestyles of the Rich and Famous, notable guests included Pierre Trudeau, Sophia Loren, Elizabeth Taylor, Stevie Nicks, and Ted Danson to name a few. It was a great Job and I was getting the Hotel Experience that I needed on my resume. But Toronto had changed a lot since Rosemary and I were there last over ten years ago. We mutually decided that the Big City was not where we were going to raise our son. I listed with a head hunter and looked at various opportunities in smaller communities and came across one that was ideal for our family. It was in ‘Wine Country’ just on the outskirts of Niagara-On-The-Lake. Wow, how ironic. Back to the area where we had just left a couple of years ago. Hillebrand, now ‘Trius Winery at Hillebrand’ should be on your bucket list of destinations in Niagara-On-The-Lake. Click on image to see what tours are being offered right now. In 1996, we moved back to St.Catharines and bought our first home complete with a Lake Ontario view. On a clear day we could see the Toronto Skyline on the other side of the lake. I took the Position of Executive Sous Chef at Hillebrand’s Vineyard Cafe and worked hand in hand with a very creative and talented Chef named Antonio DeLuca. He later went on to open his own restaurant and is currently winding down his lifelong cooking career teaching Apprenticeship Programs at Niagara College Canada. Hillebrand’s Winery history dates back to 1979 when the estate was originally established as Newark Wines. Like the Ontario wine industry, it has evolved over the years. In 1994 the Peller Family who also owned Andrés Wines acquired Hillebrand Estates Winery, which at that time was Canada’s largest producer of VQA and premium wines. I had a really great time at Hillebrand. After all, I had previous experience in starting a new business from scratch. 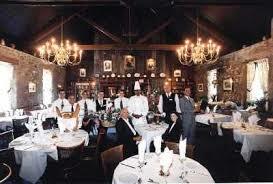 Ours was one of the first Winery restaurants in Canada, and we had set the standard as a World Class destination. I did not stay too long as another opportunity surfaced for me in nearby Niagara Falls. Hillebrand’s Vinyard Cafe is now called “Trius Winery at Hillebrand.” If you are ever in the Niagara On The Lake Region in Canada, I highly recommend you check out all the wineries there and go on the Tour’s and Tastings’s that are offered. Niagara Falls was only a fifteen minute drive from where we lived and this opportunity would be a huge increase in my salary plus medical & dental benefits for me and my family. I also negotiated a percentage of sales increase bonus to be paid monthly into an investment account. The owners, a father and daughter team had been operating this 114 room Boutique Hotel since 1977. The hotel itself was seeing a respectable ‘Occupancy Rate’ but the Food Operations were in complete shambles. Actually, it was disgusting, and the food being served was not safe. This was my first ‘Kitchen Nightmare’ and is represented by Chef Gordon Ramsay here. I kid you not. The only reason that this place had not been shut down was because of the connections this father and daughter had. Did you know that Niagara Falls has a very shady ‘Mafia’ base? Let’s not go there. Anyway, this place was frozen in time and the menu was still from the late seventies. The only thing that had changed on the menu were the prices. This was going to be the biggest challenge of my career so far. Why, because the owners were not willing to let go of what worked twenty years prior and were suffering from a rare case of Metathesiophobia (the fear of change). For the next six months, I basically lived at the hotel in a suite that was made a part of my package. It was a tough go. I had to not only clean up my department but the departments of others. We basically had to let go of 3 out of 4 existing staff members and start all over again with new training procedures. The owners realized my dedication and slowly started to accept change. I actually convinced them to increase the Dining area and revamp a very neglected kitchen. The costs of change were in the hundred’s of thousands of dollars. It’s not like you see on TV with Chef Ramsay getting it done overnight. This took months of 24/7 days with very little rest and sleep in between. It was kind of weird that although I only lived a fifteen minute drive away, the only time I saw my son and wife was when they would come and stay with me at the hotel. Even then, I did not have time to spend with them. It was novel at first…wife and son enjoying all the amenities that a 3-4 star hotel offers. I did not know it at the time, but our family was growing apart. I always kept the dining room open even during the reconstruction phases. Yes it got a little noisy at times, but the people, especially the locals were loving my food and the changes that were being made. 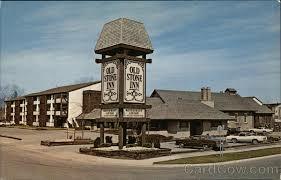 To make a long story short, by the middle of 1998, the renovations were complete and it was time to relaunch the new and improved Old Stone Inn. The relaunch was a complete success. I had established a good reputation for myself so getting some desperately needed media coverage ahead of time was not that hard. The dining room was fully reserved until 11 pm that night. Niagara Falls is a Tourist Destination and people do tend to eat at odd hours. But this was a special night and reservation preferences were given to the locals. The picture above is of the key personnel that had contributed to the changes that had taken place. I’m the guy in the middle with the white hat. The real ‘victors’ of this change (my crew in the kitchen) chose to remain behind the scenes. Success came at a price though. I was spending so much time at my work that I did not realize that I had alienated my family. All I could see was the forest and not the trees. In 2001 Rosemary asked for separation and the divorce was finalized in 2004. We settled amicably as most responsible adults should do and she later moved to Calgary with our son and I went back to Toronto and took a Sous Chef Position at Liberty Grand. Cooking professionally was all I knew at that time. I understand how important money and success are in our day to day lives. Unfortunately I was ‘Living to Work’ instead of ‘Working to make a Living.’ I had definitely missed out on something very important…quality time with family. I urge you not to make that particular mistake that I made way back then. Also by now, the aches and pain that I had neglected prior were moving forward at their own pace into fully blown Arthritis. Moving forward…back to the GTA. Click on the image to view additional images of the Liberty Grand Entertainment Complex. Liberty Grand has been Toronto’s Premier Special Events Facility since it opened in 2001 and can accommodate up to 3000 guests at any given time. This place is huge. The aerial view to the left shows the magnitude of what I mean. 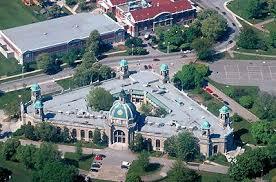 This Ontario Government building is a heritage building located at Exhibition Place in Toronto, Canada. Built in 1926 to provide exhibit space during the Canadian National Exhibition (CNE), it was eventually replaced by the Ontario Place complex. 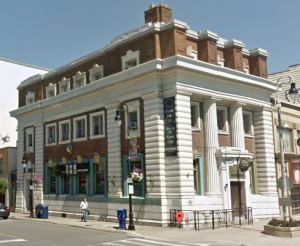 After a period of disuse, the CNE signed a long-term lease with the Liberty Grand Entertainment Group to use the building for private events. –source Wikipedia. I had done some work with the Chef in Charge many years ago so the welcome was very warm. I was placed in charge of ‘All Hot Food’ operations. I had never worked in a kitchen of this size and magnitude before but the experience will remain unforgettable. The below-ground main kitchen was bigger than a football field complete with ‘satellite’ kitchens on the main floor. If you are ever invited or would like to host your own event at Liberty Grand, you will not, and I guarantee that you will not be disappointed. Yes, it is expensive, but you will get what you pay for. Here is their website. Check out their wedding menus and meet Chefs Michael Ewing and Daniel Ponte. Probably the best of the best people that I have ever worked with. I think that they are still at Liberty and are loving their Journey. I officially left the Hospitality industry in around 2010 with a few failed attempts at trying to keep my career going but soon realized that I needed to find something that I could do on my own terms because my health was getting worse. So the next few years were spent ‘looking’ for opportunities that would not require 100% attendance in a ‘Brick & Mortar’ environment. My last memory of cooking professionally are those from the Oliver & Bonacini group where I spent a few months before wrapping things up completely. After leaving the Hospitality Industry for good, I took some time off to reflect. What had I really accomplished working the majority of my life for others? Sure, I had some savings, but nowhere close to what I would need for my retirement years. The only reality was that through making others prosper, I had alienated my wife and son, and now stood not knowing where to go or what to do next. I simply had taken ‘planning’ for granted. I looked into some Accounting Courses at nearby colleges, thinking that after completion, I could set up a small practice working from home. The courses were extremely expensive and there was no way that I was going go to into ‘Student Debt’ at this stage of my life. I thought about teaching cooking at one of the local cooking schools, but I knew that my health would get in the way. I scoured the Internet looking for jobs to work from home, but the majority of them fell into the category of ‘Scams,’ or simply did not pay enough for the time involved. The only option I could see at that time was to use my ‘Communication Skills’ and ‘Vibrant Personality’ (so I had been told by many throughout my cooking career) to look for lucrative ‘Independent Contractor’ opportunities. I worked in the ‘Loans’ industry (after certification) as a mortgage agent, I sold residential Water and Air Filtration Units and even did some business to business sales in the ‘Clean Energy’ industry for a company owned by a close friend. Those activities kept my mind busy and the cash flow active, but commission based jobs are either ‘Feast or Famine’ resolves. I still, however, maintain a passive role with these activities because lucrative opportunities do often pop-up from time to time. MLM and Network Marketing opportunities were fairly popular back then as they are today and I had some friends that were apparently doing well with them. I unfortunately, was very naive about the entire industry but was willing to learn. 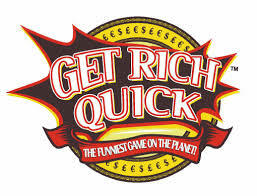 They talked me into some MLM’s and High Yield Investment Programs (HYIP’s) with the promise of “Getting Rich Quick.” You probably know what I’m talking about. I’m sure that we have all been approached at one time or another to join this or to join that to make money fast. Let me tell you, for the majority of people out there, the only way to get rich quick is to do it slowly. Over the next few years I followed my ‘leaders’ from one program to another not quite understanding why they would not just stick to one or two things and ‘work’ them. Did I mention that I was very naive back then? One thing that I can say though, is that maybe I was lucky because I did not ever lose any substantial amounts of money in these schemes and actually made some decent money in others. I recall a Bitcoin program back in 2015 that was basically a recruiting game dressed up as a crowdfunding platform but it did allow me to slowly acquire just under 5 bitcoins during its life, and opened my eyes to a new technology. Well in late 2017 I cashed in 3 of those digital assets, so I fared reasonably well. Call it luck because back then I knew nothing about Bitcoin and Blockchain Technology. What I did learn was that “Get Rich Quick” schemes and MLM/HYIP programs had mutated into an online Monster. And the offers were becoming more and more sophisticated. I learned that a very well organized network of ‘Pitchmen’ and self-proclaimed ‘Gurus’ were using the Internet and the ‘Fear of Failing Economies’ to play the ultimate ‘Long Con’ and ‘Confidence Games’ on unsuspecting people all around the World. One of these networks is known as ‘The Syndicate,’ and I only mention it here because I am familiar with some the names associated with it. Perhaps you are too. The Syndicate is a business group that uses digital marketing to sell get rich quick, work from home and self help products. Read the full article <<<HERE>>>. The video below gives a good insight of how the syndicate operates. Running time is approximately 15 minutes (it’s worth it). Internet Marketing as described in the video above is not ‘Internet Marketing’ in the pure sense. Yes, Internet Marketing is the process of promoting a business or brand and its products or services over the internet using tools that help drive traffic, leads, and sales. And yes, it does involve lead capture, building lists, landing pages and sales funnels. But, the ultimate goal of ‘Internet Marketing’ or ‘Content Marketing’ is and should always be to deliver true value to the end user or buyer and also to not exploit (sell) that user or buyer’s valuable information to someone else for further exploitation. True Value, not hype and exploitation will take you to Internet Marketing success. There seems to be a common aspiration among many naive people that making money online quickly through Internet Marketing is a real possibility. Don’t feel bad, Been there, done that. The term Internet Marketing used in the context of the above video fulfills this aspiration quite brilliantly. The ‘A’ teams in these groups are very good at what they do. It describes a business model used to get the ‘B’ teams to sell substandard and often fraudulent products and services Online, to the community or subculture that embraces the psychology of the ‘A’ team. Don’t fall for it. It is a vicious circle. I don’t know how deep the rabbit hole goes but here’s another video linking Tony Robbins to the Syndicate. What! Tony Robbins? No way, Can’t be. You are wrong, Paul! Running time is approximately 7 minutes. Even though these videos are not current, they are still very relevant. These schemes operate out in the open, with poorly developed websites, tacky infomercials and outrageous claims designed to scare off the wary (people like me now) and draw in only the curious, desperate and naive (like I was back then). I’ve fallen for a few of these CB & JV products and courses in the MMO (make Money Online) Niches. I’m not going to be specific because I am embarrassed but you know the ones I’m talking about. They all end in a 7. $7, $17, $27, $47, $97 etc…. The promo will start at $297 for example and then through the pitch the price goes down to $27. And of course, you have to hurry because there are only so many left or the offer is only for the first few, and the one I like the best…there is a countdown timer on that really tacky website or landing page. In almost all cases, the products arrive incomplete, lack any value and require huge up sells to then again, be a let down. As I said before. it is a vicious circle. The products are outdated recycled garbage. Some marketers actually give away these products to get your contact information. Listen, Don’t get me wrong. I am not knocking any structures or formats out there, or the people running them. And I’m not saying that all of the affiliate programs offered out there are junk. I’m just warning my readers to be careful of the ones being offered in The Make Money Online Niches. The Internet and Internet Marketing can be predatory to say the least. I speak from experience. By late, 2015 and early 2016, I had had enough of the instability of MLM recruitment Ponzis, High Yield Investment Ponzis and ‘Get Rich Quick’ push button Schemes. I was also tired of all the ‘well to do leaders’ that were taking advantage of those below them. I found that one of the reasons that these leaders were continually ‘Jumping Ship,’ was because they were receiving some really good perks and bonuses for migrating their down lines to the next best shiny thing. Again, don’t get me wrong. These programs work for a lot of people, but I have never been a great recruiter nor will I ever be. And a concept that relies on recruiting others was not going to provide the long term success that I was seeking. Somebody that I had met through all of this asked me if I knew anything about ‘Affiliate Marketing.’ He was having some positive success selling Click Bank and Joint Venture products. Being eager to learn new things, I answered that I would look into this. When I looked into this, all that I came across were really tacky websites, lead funnels and landing pages that were child-like in essence in their delivery. I compared them to the useless ‘Replicated’ websites that the MLM industry were using and concluded that this was at least one ‘step up,’ but then again, it would not be the saving grace for me. By the way, I did get ‘Sucked In’ to quite a few of these just to try them out. Education has a price, but it is not as palatable when the education is a distasteful out and out scam or misrepresentation. So Onward with my research into Affiliate Marketing. Ryan’s One Minute Story Is Next. I came across a video from 2014 that was published online by Ryan. Let me share with you what led up to it. In February of 2016, I had just taken a ‘FREE’ 14 day ‘Project Breakthrough’ course (which was not actually FREE) that was going to show me how to make my first Dollar Online in fourteen days presented by Vick Striezeus & Jason McClain. Wow! was I ever impressed. But you know what? This ‘Project Breakthrough’ was going to cost me over $5,000.00 (up sells) to benefit completely from the program…and the Kicker was that it was leading into yet another MLM Program. Needless to say, I did not proceed and ‘Project Breakthrough’ is no more. Through my research I came across a video that has changed my life and I hope that it will do the same for you. It was a Youtube Wealthy Affiliate review, but done in really good taste. Thank you Ryan, for making this video that has changed my perspective on life and how the Internet can actually create a future for me based on my own accomplishments. The six course Online Certification Program that Ryan mentions is now a Ten Course Certification program that is still available to all Free Members. Not only that, Wealthy affiliate since Ryan’s time of making his great video have added a 10 lesson Wealthy Affiliate Bootcamp course that is also available to free members. You can view in detail the courses mentioned above and an Introduction To Wealthy Affiliate <Here>. I am a firm believer that that everyone has a ‘Purpose In Life,’ and that we embrace the idea that our ‘Purpose In Life’ is to love life fully by putting ourselves into life. A paradigm in mind shift needs to take place. My ‘Ikigai’ or purpose was and is to take care of my financial obligations (with the help and guidance of others) until the day that I die. My biggest question was “Are my retirement savings enough?” And the answer is an absolute NO. Would you not agree that our behaviours should not be the ones we are forced to take based on the expectations of the World around us but rather they should be the natural actions and spontaneous responses that emerge from a deep and direct connection to our lives. My paradigm changed on the first day that I arrived at Wealthy Affiliate University. Try it for yourself without any cost or obligation. The only thing that you might end up wasting is your time if you do not take the test drive seriously. You most certainly will not be losing any money. Please feel free to leave your comments on the videos or anything else on this page in the comments section below. You can also subscribe freely to this site and receive my personal insight from time to time when new posts are logged. I wish you the best in your online search to find the right vehicle for you to find that missing piece of the puzzle that can and will allow you to make money consistently online for a very long time. 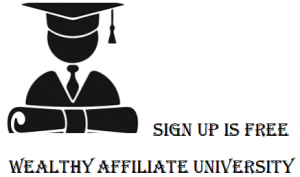 I have found mine, and it is called ‘Wealthy Affiliate University’ and I promote it openly. Just remember that the Wealthy Affiliate Platform is not ‘The Best Way To Make Money Online,’ because it is not. The Wealthy Affiliate Open Education Project is “The Best Way To Learn How To Make Money Online,’ and do it in a manner that you will be proud to share with others including your friends and family. The difference is subtle but very significant. Building Success Stories Online since 2005 – Wealthy Affiliate University. The key to success is starting the journey. Build your online storefront, nurture and feed it daily and it will serve you well for a very long time to come. Your friend and host at The Forensic Affiliate & Wealthy Affiliate University. Click on image to view my Wealthy Affiliate Profile Page. When a Man tells you his story, he is telling you his heart. Thank you for stopping by to leave your comment. I am very pleased to make your acquaintance. What you say, is in fact true. When anyone tells their story, they are sharing it from their heart. Stop by often and whenever you like. You are always welcome here to learn, share and contribute. This site is a living organism. It evolves every day not only with my contributions but more importantly, the contributions of others like you. This site is being built with one major focus in mind. 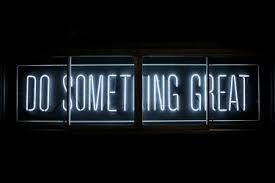 To help others that want to build a business online using a very proven method. If you do not mind me asking…What part of the World are you reaching out from? I ask simply for the reason that I am setting up some demographics to be able to better serve my audience moving forward. Peace and gratitude to you my new friend for being the first to comment on this site. Your words are a gift in kind and will ultimately be rewarded.